With experts encouraging jobseekers to dedicate a minimum of 30 hours per week to their quest for career progression, whether you are in or out of work looking for a new job is a time-consuming task. From establishing which companies you would like to work for and what types of roles to apply for to formulating your speculative approach and researching who exactly to target, your job search needs a strategy. An efficient strategy will save you time and also provide you with the peace of mind that you are doing all you can to achieve your goal. During our job search strategy coaching sessions, with your input we devise a practical action plan to give structure to your job search. Together we identify the best ways to find the job you want, should you be focusing on advertised vacancies or should you be exploiting the 'hidden job market' by approaching employers you would love to work for? We make sure you are getting the most out of your online job search by assessing your social media profile, recommending job search websites and ensuring you have job alerts created for each one. We also suggest innovative ways of marketing yourself online which you may not have previously considered. 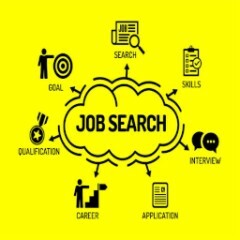 We emphasise the importance of your offline job search too, from identifying which newspapers to regularly check to simply reminding you of how your network of family, friends and contacts can be a valuable source of job leads, we leave no stone unturned. Once your action plan is finalised we can assist you in implementing certain aspects of it if you so wish.